My life has been touched by some uber amazing women whose passion for life and the way they choose to live it have really inspired me. Some are bloggers, some are not, their lives are all different and they are all special. I feel honoured and privileged that they are sharing their stories and sprinkling a little bit of their awesome right here. 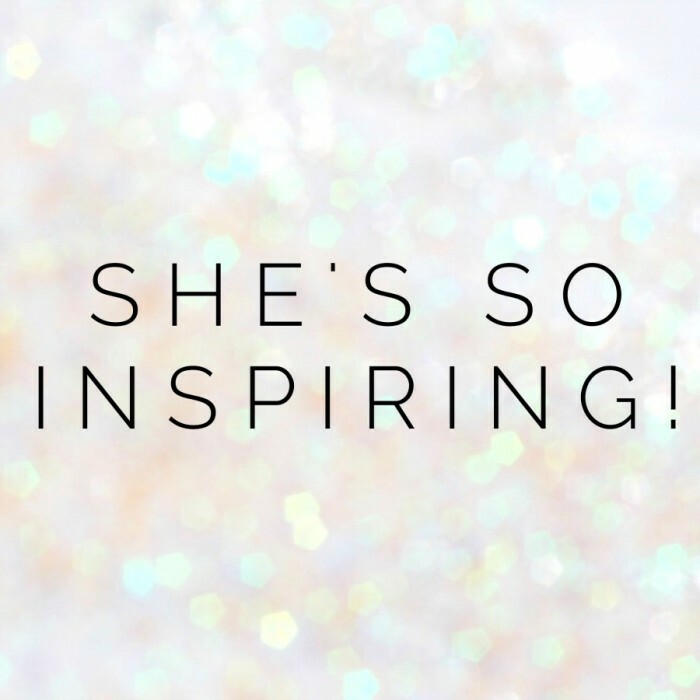 May you be wom-inspired! I’m feeling a bit emo, because it’s the penultimate She’s So Inspiring interview, or should I say the last one for a while. The series, like me, is taking a bit of a break, but I’m sure like the Terminator, it will be back. Anyhoo, this week, we’re keeping things in the family, just not mine. Remember amazing Annie from last week? Well, today, you get to meet her sister, Bec and you’ll soon see that the awesome gene runs strong in their family. It was our mutual love of Thermomixing that brought me and Bec together and that’s just another thing to thank the Thermomix for. Bec is clever, kind, creative and of course, oh so inspiring. 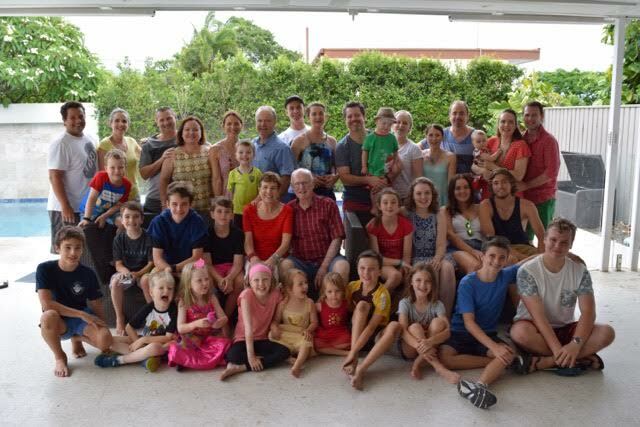 I grew up in Brisbane in a house containing 7 children, 2 parents, a grandmother, a dog and a whole lotta love and laughter – an absolute blessing of a beginning to have this incredible family. I went to an all-girl’s school that ran a music program with the local all-boy’s school. It was during band and musical rehearsals that I became great friends with Joe. Joe and I were friends for 10 years before we got together. 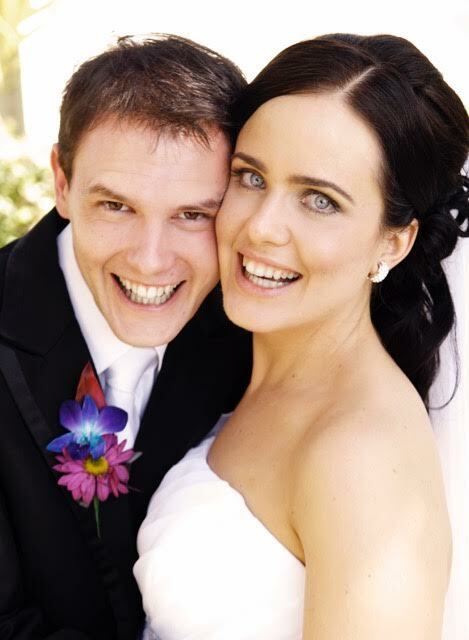 We have now been married for 5 years, and we have brought our daughter Polly into the world. In my late teens I moved to Melbourne to study Osteopathy. After 5 years and the completion of an undergraduate and Masters degree, I became an osteopath. After a brief stint on the Gold Coast, I returned to Brisbane. Working with people to improve their motion and reduce pain has been very rewarding. In May 2013 Joe and I started a podcast for Thermomix lovers. I had this crazy idea that I wanted to create a digital magazine for these Thermo-loving folks, but thought that it made more sense to start with the podcast first. It turned out that creating a magazine is a very big undertaking and to effectively achieve what I envisioned I needed a partner… and Peta Lee from The Road to Loving My Thermo Mixer was the perfect choice. She was the same age as me, had young children, was hilarious and very talented. Peta and I launched the magazine in November 2014 and have been putting out a new issue every month since then. We have over 5000 monthly subscribers, and our readership continues to grow as we make improvements that we think our readers will love. I am most definitely an optimist. Sure, I have my moments of ‘The sky is falling!’ but my natural predisposition is to look for the good. I am incredibly lucky. I really won the ovarian lottery to have been born into a family with two loving parents and 6 amazing siblings, in a peaceful community in which I have been allowed to receive a good education without persecution. That luck extended when each of those siblings chose incredible people to spend the rest of their lives with and brought a host of new family members into the world. The luck multiplied when my long term friend Joe became my husband, his family became my family and we became Polly’s parents. I am surrounded with friends that inspire me and love me. I am incredibly lucky. I am a work in progress. Ever trying to improve myself, while striking a balance with being content with what is. I am not as organised as some people think I am. There is a lot of ‘fly by the seat of our pants’ that goes on at Casa Winston. I am not glamourous. If it became socially acceptable to go everywhere in track pants or leggings, I would be thrilled. I am not a natural when it comes to sports or physical ability. In fact, when I (shockingly) came in the top 10 for cross country in Year 12 the teachers asked if I’d hitched a ride on the groundskeeper’s truck. Mobility, strength and fitness is definitely something I need to be mindful of as it certainly doesn’t come naturally for me. Podcasts changed my life. Without a doubt. Listening to a podcast about digital publishing using the App Store sparked the idea of starting a Thermomix magazine. Implementing that idea has vastly changed the trajectory of my life. 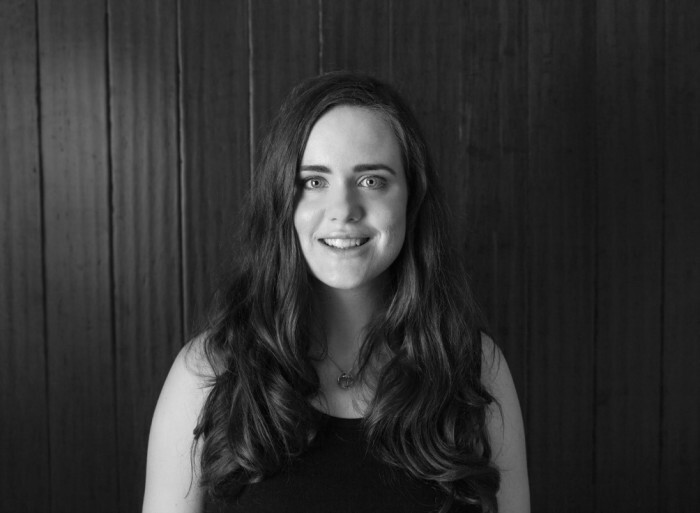 From a full time osteopath to a full time magazine editor? Crazy. I wouldn’t have believed you if you had told me that 10 years ago. Creating a podcast has given me the ability to connect with the amazing people in The 4 Blades community, including clever recipe developers and my fabulous business partner Peta Lee. Learning from podcasts has given me the education to improve myself and my abilities. I continue to learn so much from podcasts… be it about health, mindset, digital marketing… there is a whole world of information ready to be listened to. There is no point worrying about what hasn’t happened because you don’t know how the story is going to unfold. In my work as an osteopath with an interest in women’s health I would commonly hear “I will feel more relaxed after the 12 week scan”, or “I just need to get through the birth and then I can breathe again”. And then out of the blue my 5 year old nephew was diagnosed with Leukemia. It wasn’t something that we had worried about – he was just a healthy normal kid. And the truth is that no amount of worry would have prevented it. It gave me the perspective that there is no point worrying about what might be, because there is only right now. Some of the times in my life with the most heartache or anxiety unfolded to be incredibly formative with an amazingly beautiful outcome. We just don’t know what is in store. Self funding my ‘maternity leave’. A month before Polly, my daughter, was due to be born I finished seeing patients as an osteopath. I had saved up as much money as I could to allow me to stay home with her for a few months. I didn’t know exactly how long that would be. 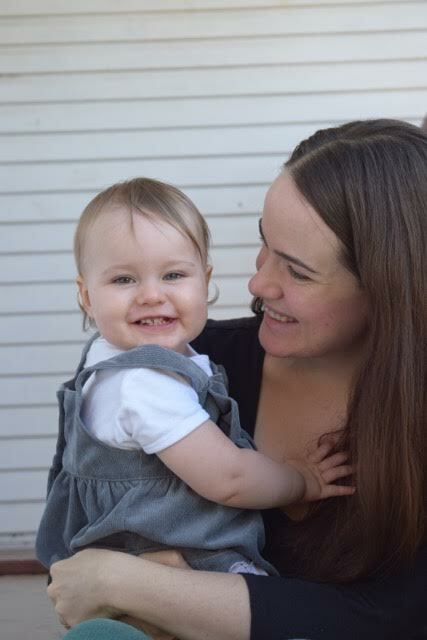 Being self-employed as a contractor within a practice meant that I wasn’t eligible for any maternity leave from my workplace. It was up to me. I love being an osteopath and working with the beautiful people that come to see me. It is a profession, however, which meant I would be away from Polly for any hours that I chose to do. It just didn’t fit with what I wanted for my experience as a first time Mum. I felt really lucky to have been home with my Mum in my early years and I really wanted that for Polly too. I suppose it hasn’t been a traditional maternity leave… there has certainly been a LOT of hours of work while Polly is sleeping (e.g. NOT ’sleeping when the baby is sleeping’), but we have made it work and I am really proud of myself that Polly is 20 months old and we have managed for either Joe or I to be at home with her. I know that not everyone who WANTS to stay home with their little ones is able to. So I’m incredibly grateful. I have worked through a fairly significant case of adult acne. 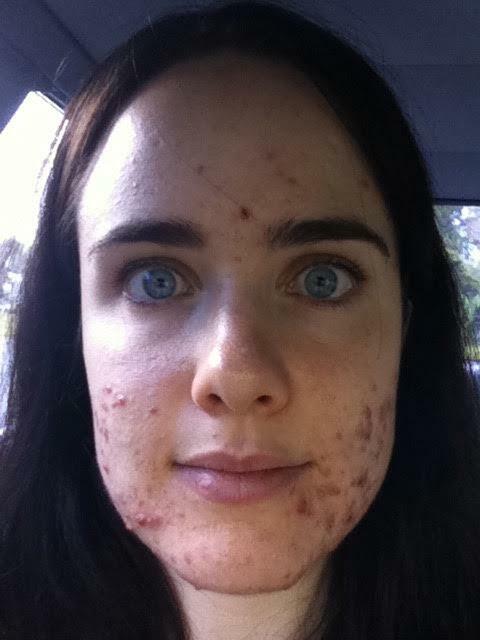 Whilst I feel pretty uncomfortable about putting it out there, I am going to share a personal selfie that I took 5 years ago, and then a selfie that I took while writing this, with no makeup on. Until this point I think only two other people have seen the first photo – my husband Joe and my friend and business partner Peta. While it may seem like a very ‘external’ challenge, I can guarantee that it had a big effect. Firstly, it was physically painful. My face hurt all the time. Secondly, I felt aware of it when talking face to face with people. I would have (particularly blunt) patients comment on it. I certainly wasn’t comfortable in my own skin. The answer to ‘how I have overcome it’ is multi-faceted. I will try to answer as best as I can. When you look at the ‘before’ pic, this was actually ‘after’ I had tried SO many facials and different products. I am sure that I had spent a small fortune… I had really lost a lot of hope that anything could help. The turning point was working with Dr Bill Anseline from Skin Alert in Paradise Point. Dr Bill did three rounds of Photo Dynamic Therapy, which was coupled with a low dose long term (3-6 month) antibiotic, which I combined with a good probiotic. For sure, that made a difference. The first photo was taken just before I started working with Dr Bill. To improve further (a little over a year later), I made significant dietary changes. At that time I cut out all sugar (including fruit… I allowed myself about 1-2 pieces / week) which made a big difference. The “I don’t really eat gluten” became “I strictly don’t eat gluten”. I already didn’t eat dairy or soy. These changes helped. I then made a conscious decision to love myself, regardless. Focus on what I COULD do. What I DID like about myself. Basically, to celebrate what I wanted to see more of. Accentuating the positive and eliminating the negative and so on and so forth. To become comfortable in my own skin. On this journey, an older woman told me that her skin settled down a huge amount when she had her babies. 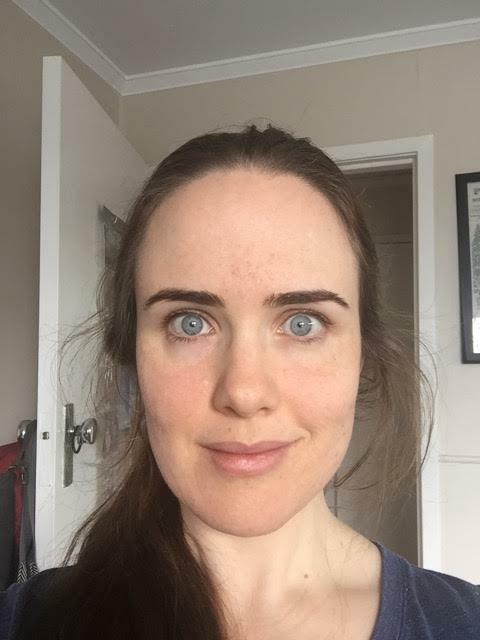 I didn’t quite see it as a good enough reason to get pregnant at the time, but it is interesting to note my skin has settled further since being pregnant with Polly and breastfeeding (which I am currently). In terms of my diet now, I strictly don’t have grains, soy and sugar (although I eat much more fruit now), and avoid dairy products made from a cow (I seem to tolerate sheep’s / goat’s products ok). I still see it as a work in progress. I am mindful of what I eat and know that I need to move and care for my body to stay balanced. But I do see it as a blessing. Because of my skin I was given the motivation to discover what worked and didn’t work for my health at a fairly young age. I wouldn’t have had that motivation otherwise. My purpose is two fold. 1. I love creating something that allows my family to be flexible and unconventional. I love that Joe and I get to be home with Polly. It makes all the hustle worth it. 2. I am so passionate about helping people have the tools to grow their confidence around creating food for themselves, their family and friends. Great memories are made over food and it’s so incredible to hear the stories that are shared with us about the effects that the magazine and podcast on the lives of our readers and listeners. It really makes my heart sing. Perception is everything. I suppose this ties in with my ‘greatest life lesson’ above. My experience of a situation is completely based on my perception. Whether I love or hate what is going on around me, it is going on, and I am a part of it. Commonly I have to stop and consider how I am perceiving something and whether that perception is serving me, or hurting me. Definitely Brene Brown. My sister Margaret gave me her book Daring Greatly for my birthday a few years back and I think it is safe to say it has profoundly affected my life… both who I am and how I relate to those around me. At this point in my life, I think that I have had more “Ah-ha!” moments from reading Brene’s books and watching her speak than anything or anyone else. I feel like having Brene as a mentor would really help me be a better person. In the interim, I will settle for her books. Definitely a day spa. Some of my favourite self-indulgent moments (and travel stories!) have involved day spas. If someone could sponsor my love of day spas that would be ideal. For the last 82 days I have done a daily meditation, using the Headspace app. I have tried to ‘meditate’ before and it hasn’t really ‘stuck’ for me, but I have to say I am really enjoying meditation and I am factoring it in even on those busy nights when it is hustle-central here at home. I think the ‘game-like’ nature of the app, and the variability and social components has really helped me to be consistent with this new habit. I am currently undergoing 4 weeks of yoga, pilates and barre classes and I have to say that I am loving it. I haven’t really gotten back into ‘exercise’ since having Polly, aside from walking and a weekly (read: it’s on once a week and sometimes I get there and sometimes I don’t) postnatal pilates / stretch class. I am feeling so much stronger since beginning this program two weeks ago. 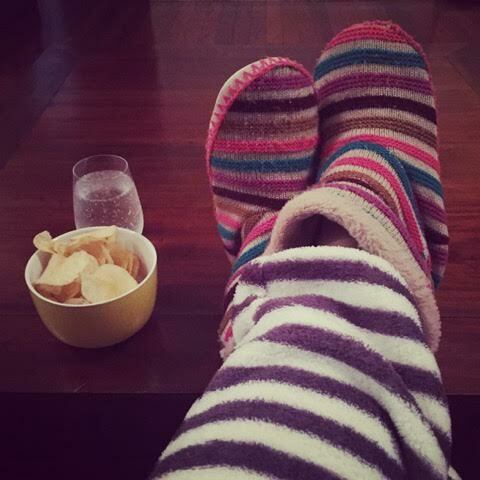 And really… my FAVOURITE thing to do to take care of myself is curl up and watch Grey’s Anatomy with a bag of plain potato chips from Aldi (my fave!) and soda water. Ahhh… bliss! Thank you for sharing, Bec.